But Prime Minister Marjan Sarec, whose government took over in September after June's general election, said the minority government has no choice but to seek opposition support for its projects. The coalition holds 43 out of 90 parliamentary seats while the Left has 9 seats. "The government is a minority coalition government. 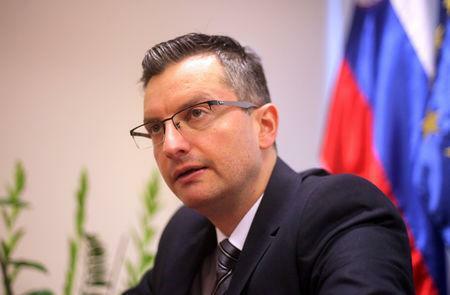 If we want to do anything we have to make arrangements, that is the reality of democracy," Sarec told Radio Slovenia. "We need a favorable business environment, productivity growth and the respect for those who work. The agreement between the coalition and the Left does not guarantee any of these. It is a mixture of expensive populist decrees which go against the development of the economy," it said in a statement. "As long as the state is actually governed by the Left the economy will be regressing," said Branko Grims, a member of parliament from the SDS.